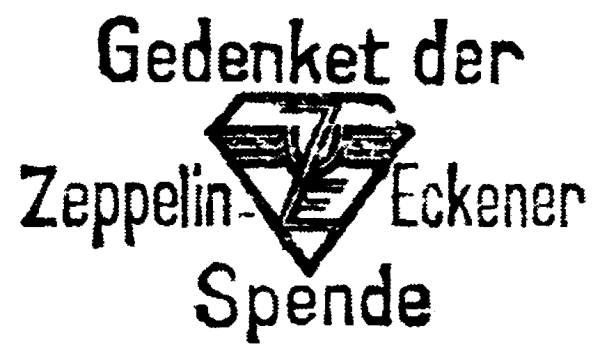 Here's a deep cut for you. 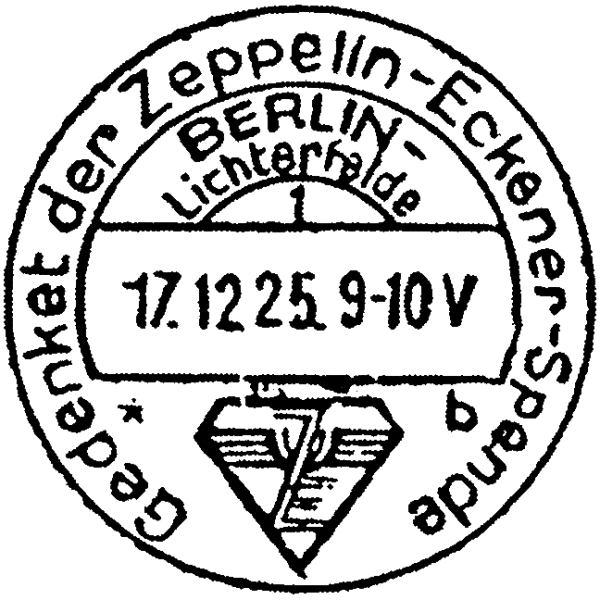 Most images open to larger versions. 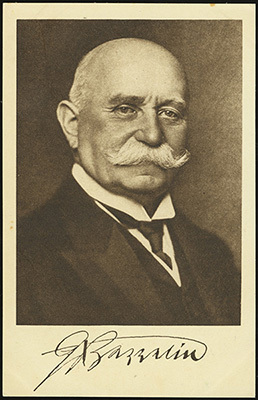 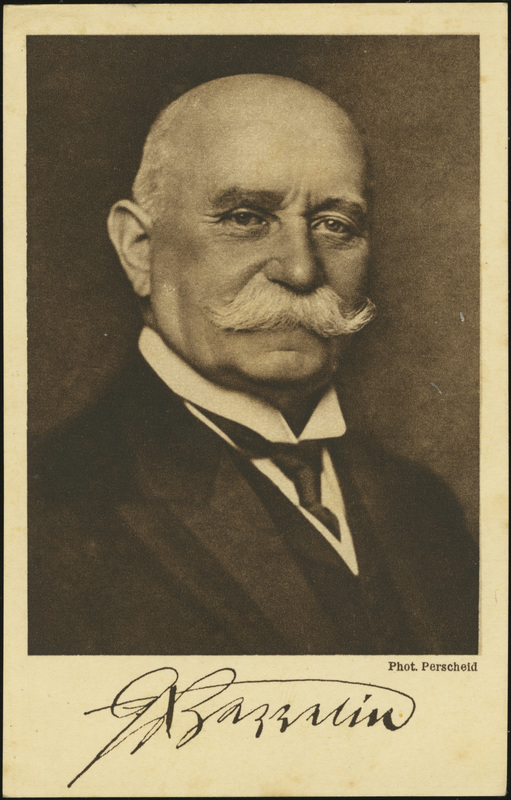 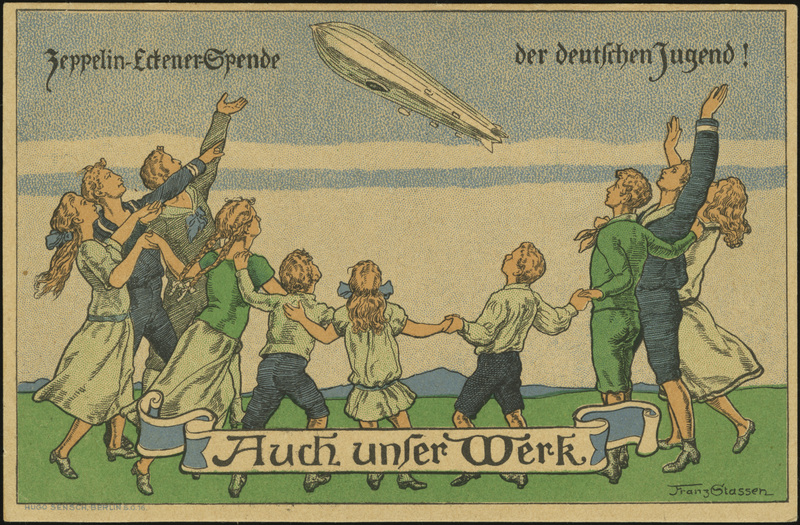 Following the death of Count Ferdinand von Zeppelin in 1917, Dr. Hugo Eckener ascended to control of Luftschiffbau Zeppelin, the company Count von Zeppelin founded to manufacture zeppelins. After the end of WWI, Dr. Eckener oversaw the construction of small passenger dirigibles, but in 1921, the Allies forced Germany to surrender these to the victorious Allied Powers as reparations. 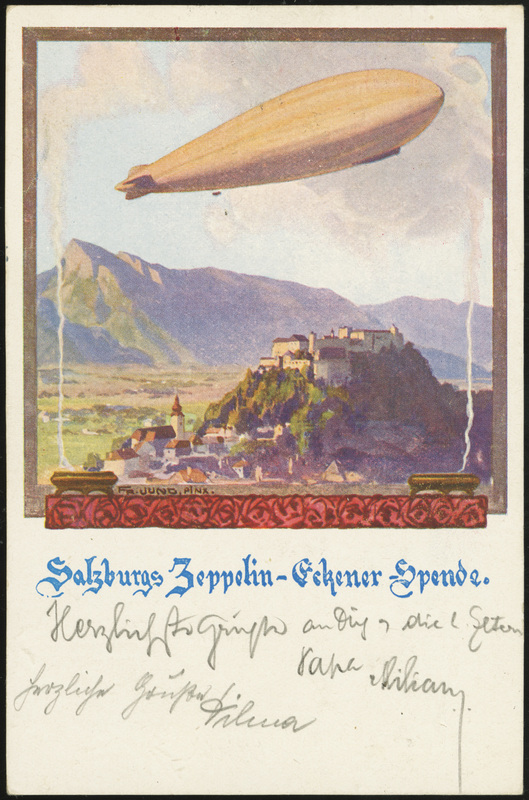 This placed the future of the Zeppelin company in doubt. 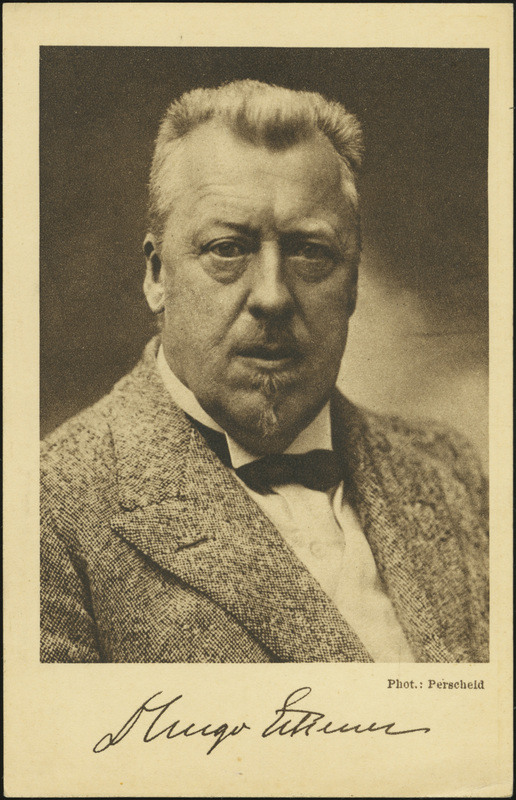 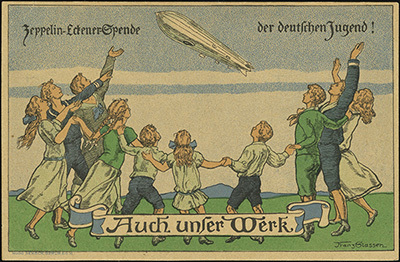 To remedy this situation, Dr. Eckener courted business elsewhere, and in 1924 secured a contract to build a Zeppelin for the U.S. Germany would be forced to pay for the construction cost as part if its reparations, but the Zeppelin company would get the opportunity to continue building airships. The LZ-126 was completed in August 1924, and delivered to the U.S. in October 1924, when it was renamed the USS Los Angeles. Following the success of the LZ-126, Dr. Eckener sought funding to begin construction on a new large Zeppelin for Germany, the LZ-127. 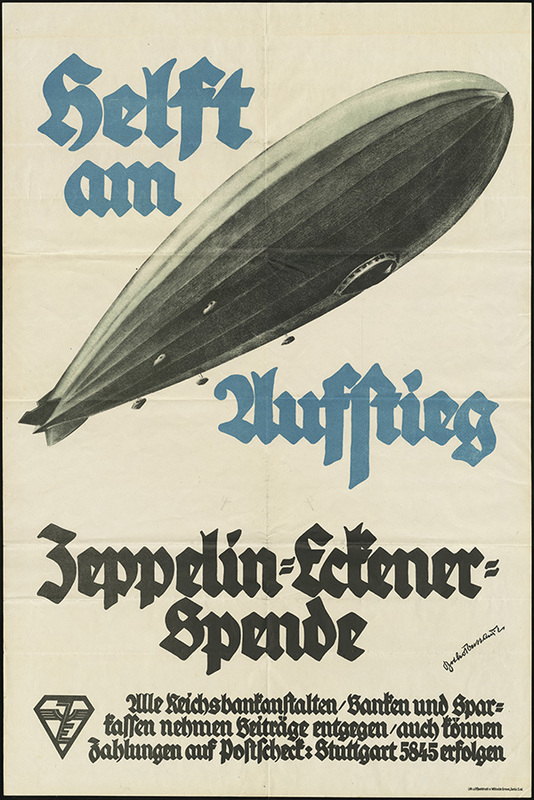 Germany was reluctant to provide funding as it was still paying reparations to the Allies, and because of public relations concerns due to the use of Zeppelins to bomb the Allies during the war. 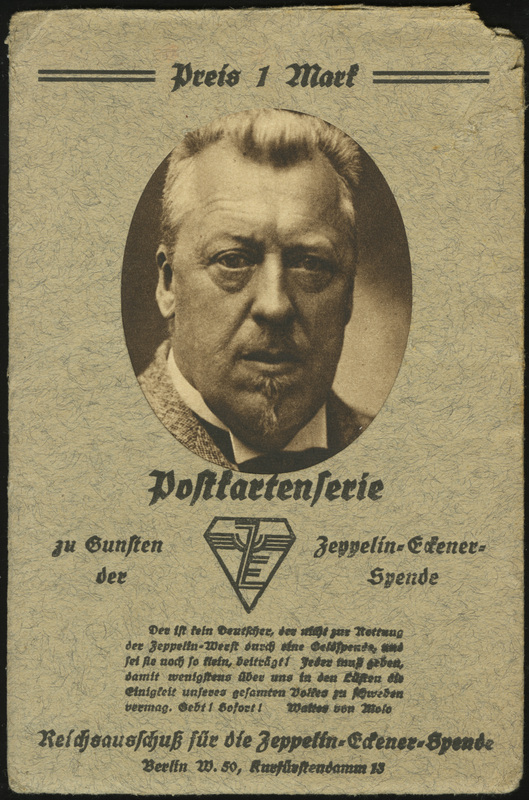 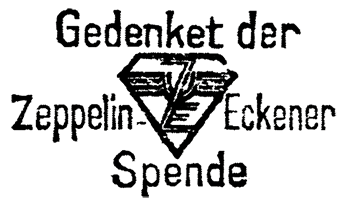 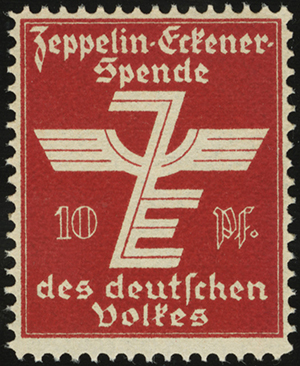 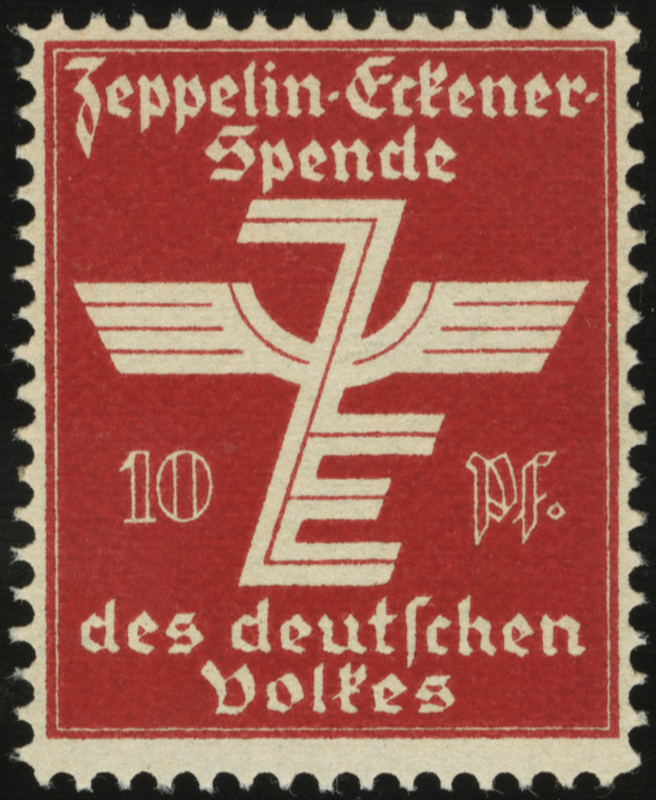 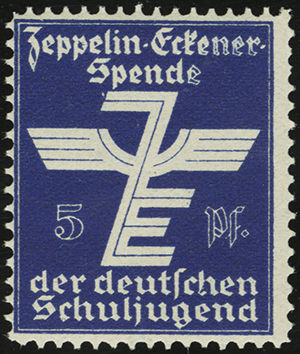 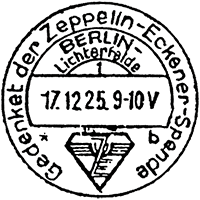 As a result, on 20 August 1925, Dr. Eckener launched the Zeppelin-Eckener-Spende des Deutschen Volkes (Zeppelin-Eckener Fund of the German People) campaign. 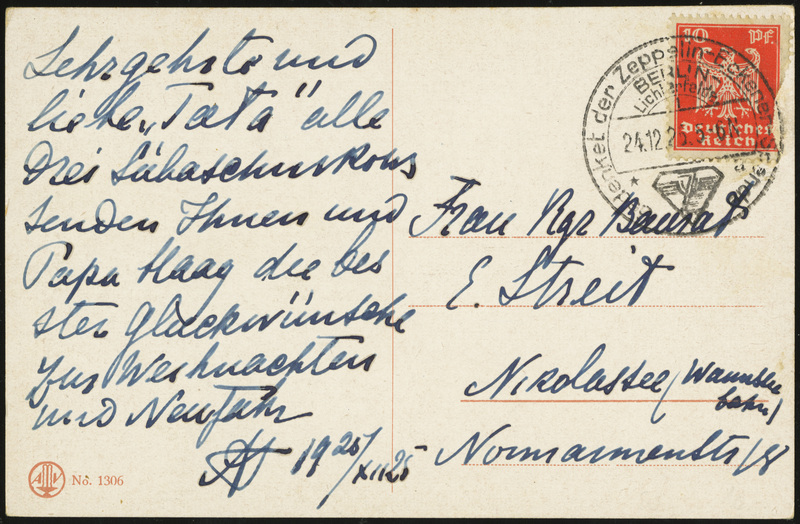 The campaign was multi-faceted, raising funds primarily through straight donations and paid speaking engagements, but also through the sale of memorabilia, coins, postcard, and cinderella stamps. 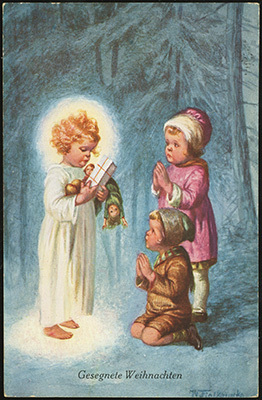 A total of three cinderella stamps were available. 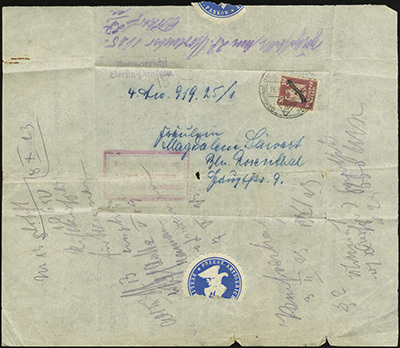 Si XI b (Green 5 Pffenig) not shown as a single because I only have it on postcard. A set of six postcards was produced, and could be purchased in a commemorative envelope. 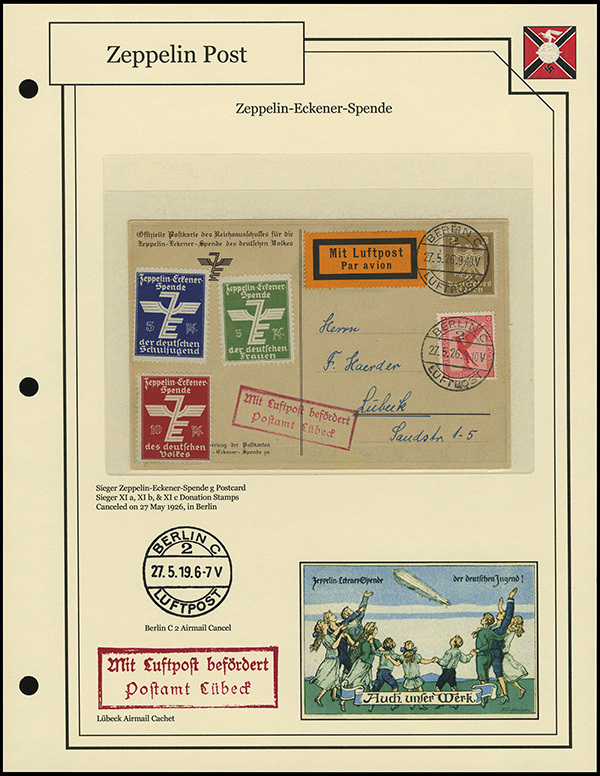 The Hugo Eckener and Ferdinand von Zeppelin cards can also be found with printing errors — incorrect or missing photo credits under the photo. 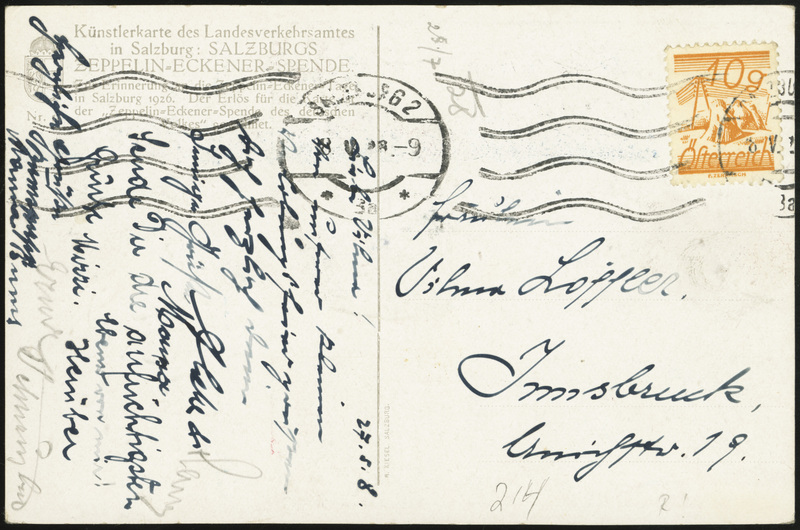 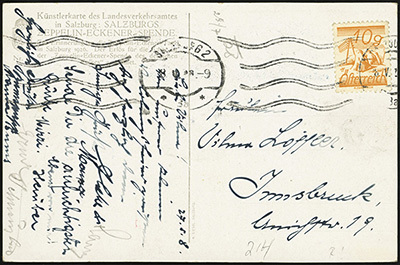 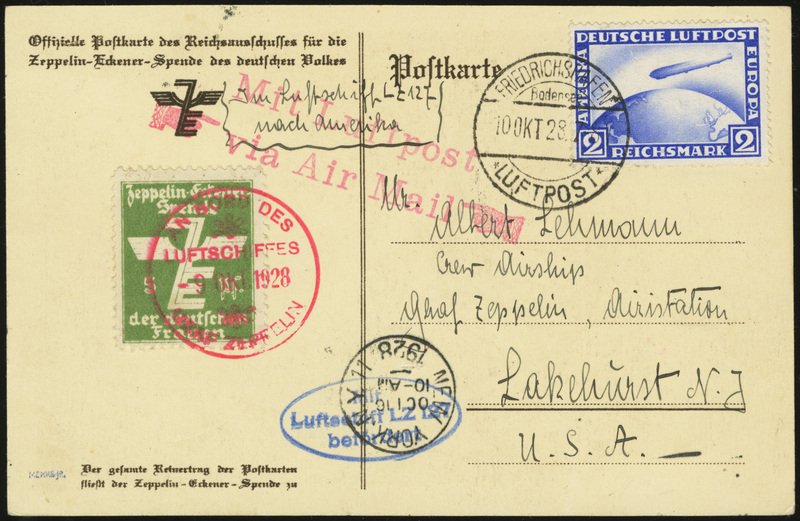 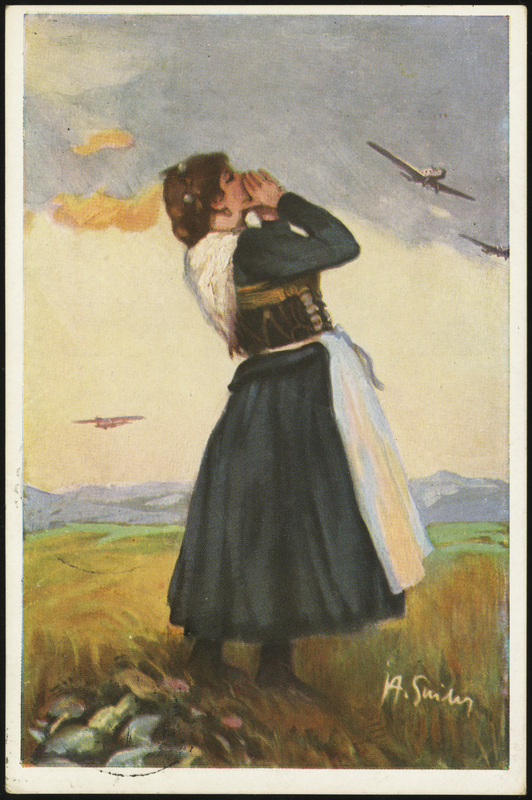 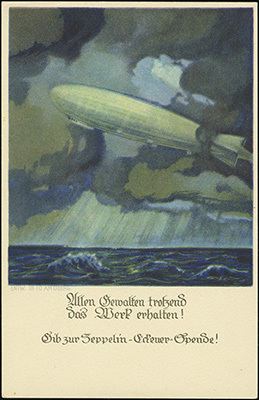 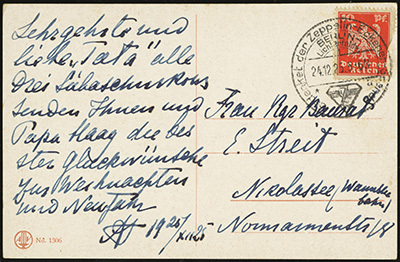 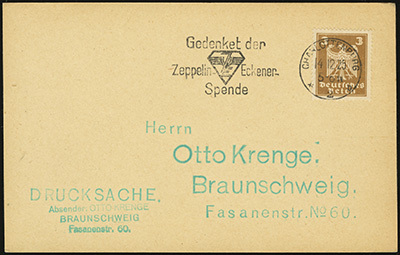 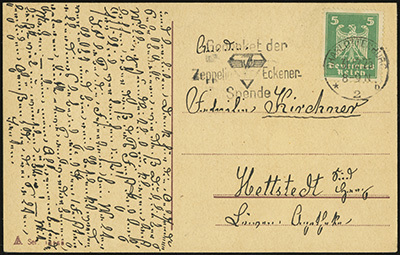 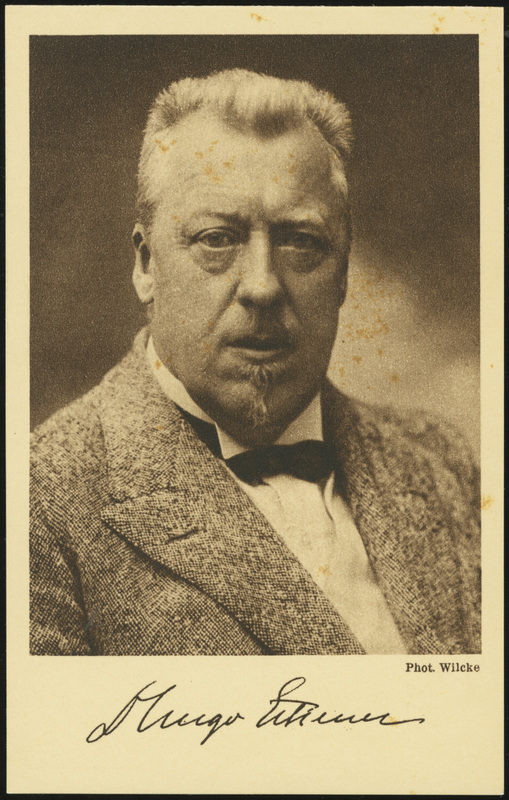 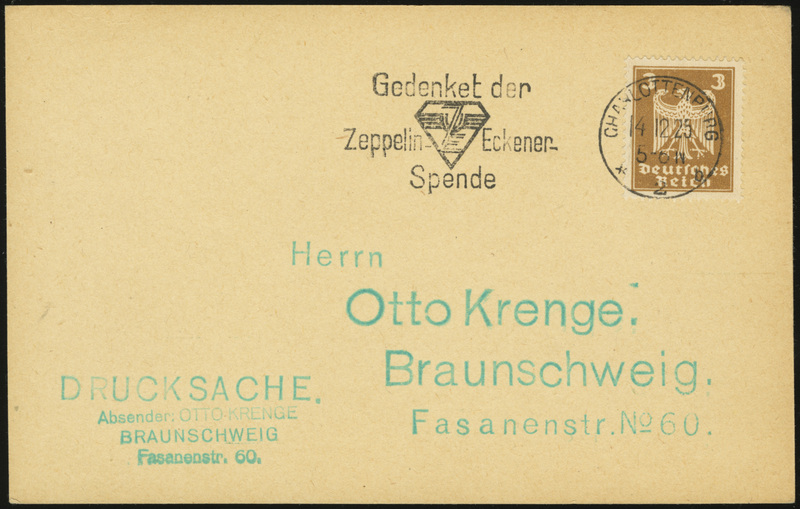 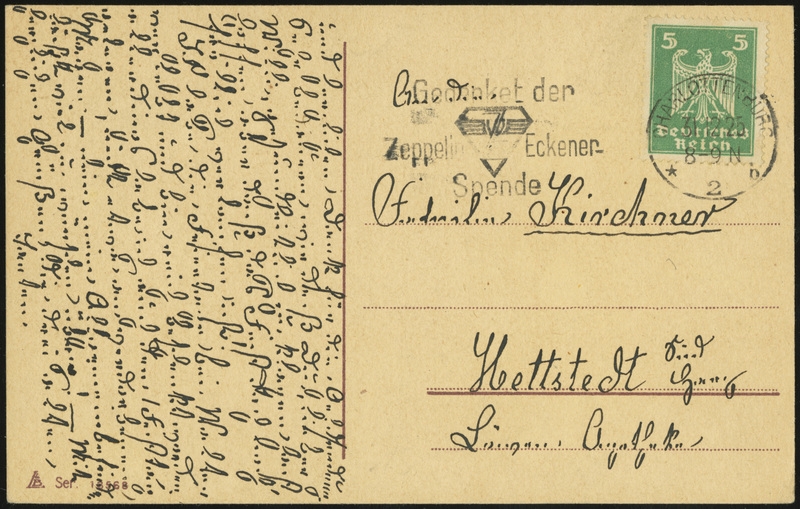 In addition to the set of six, single postcards were available from the Zeppelin-Eckener-Spende and other private sources which advertised or benefited the fund. 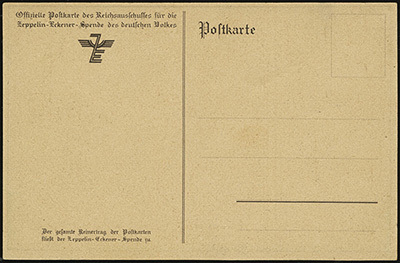 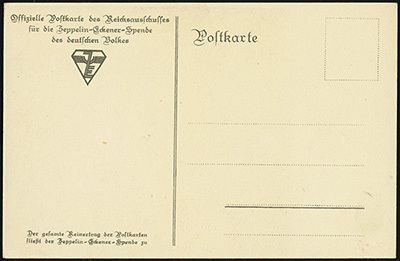 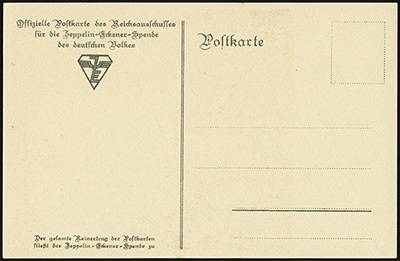 Commemorative cancels promoting the Fund were available at the Berlin-Lichterfelde 1 and Berlin-Pankow 1 post offices. 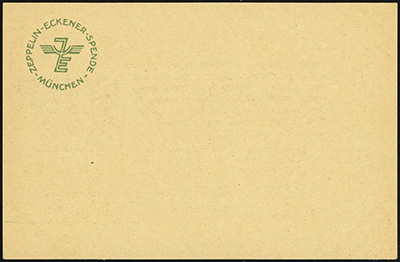 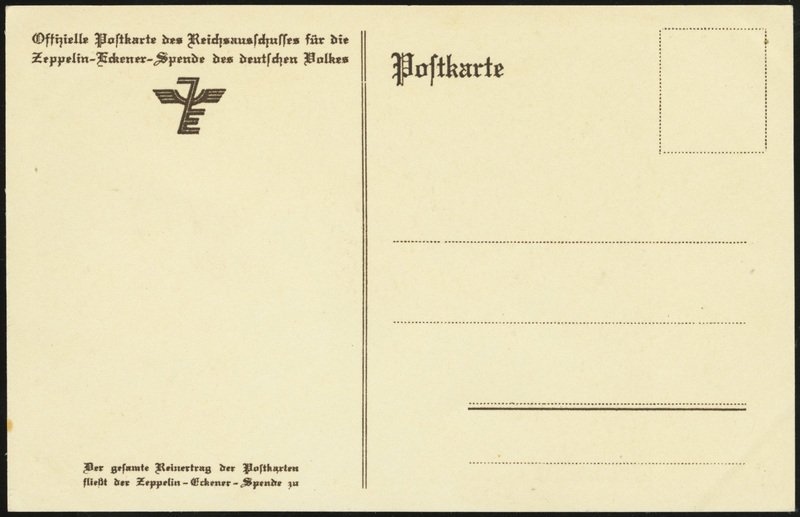 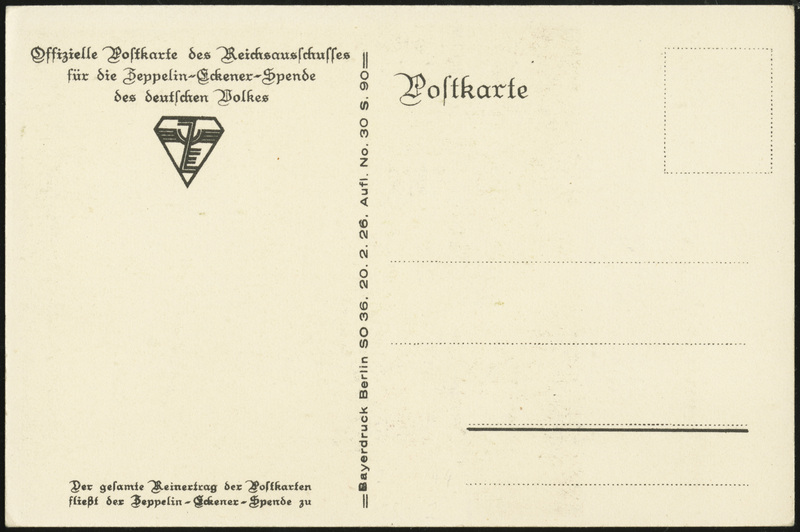 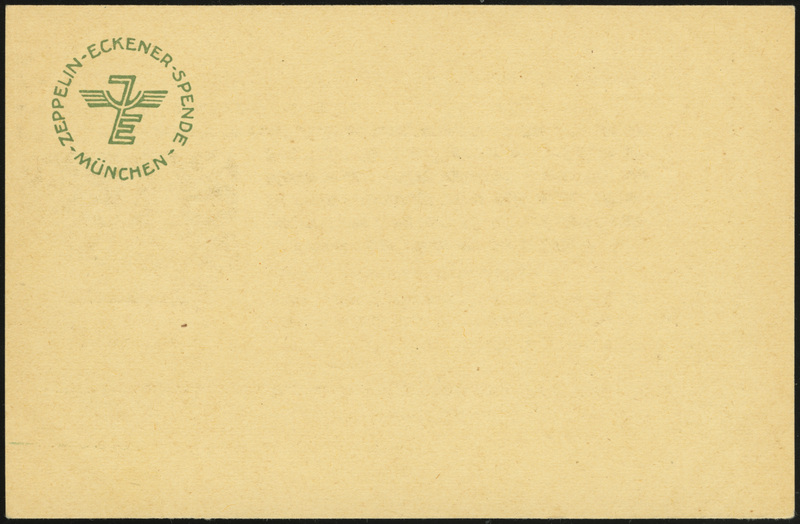 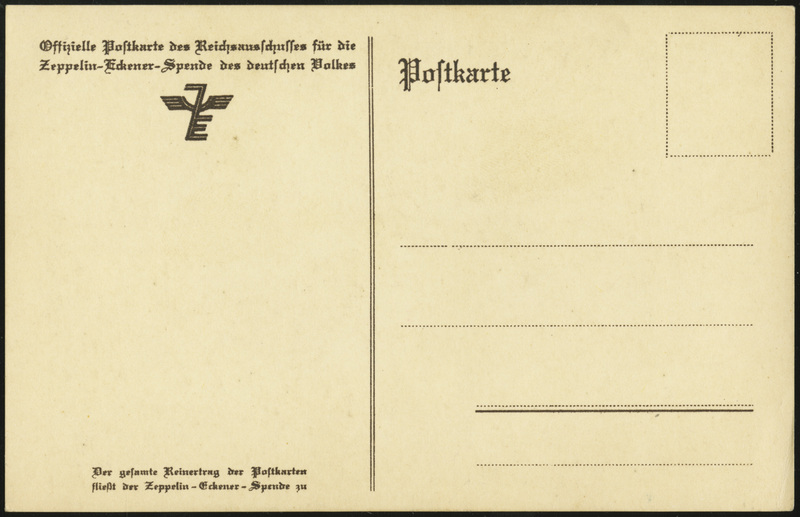 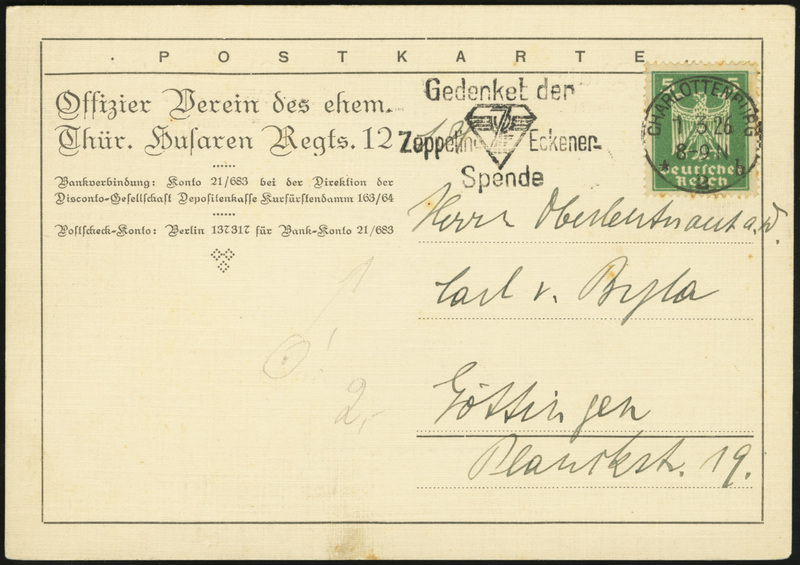 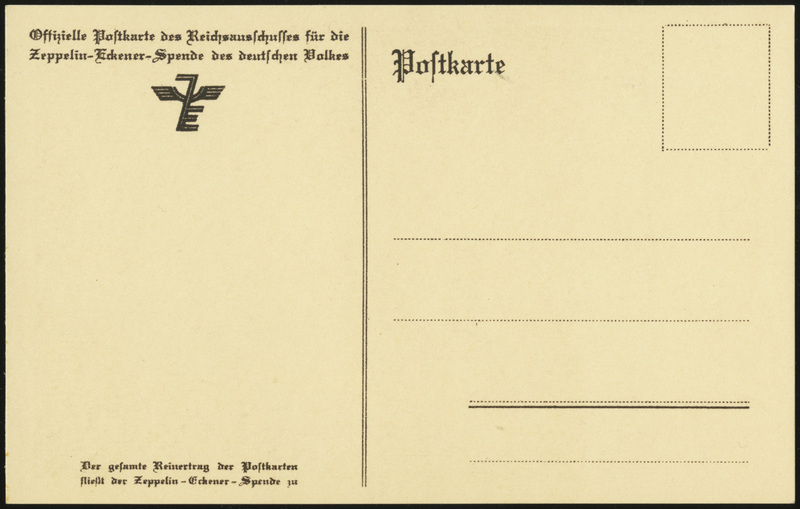 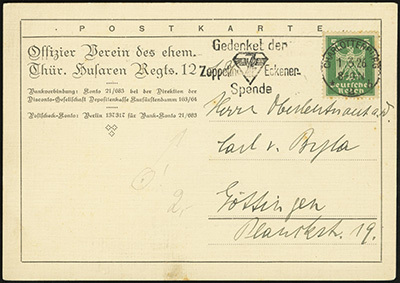 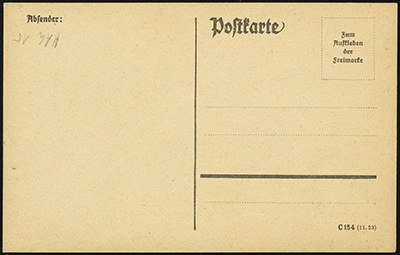 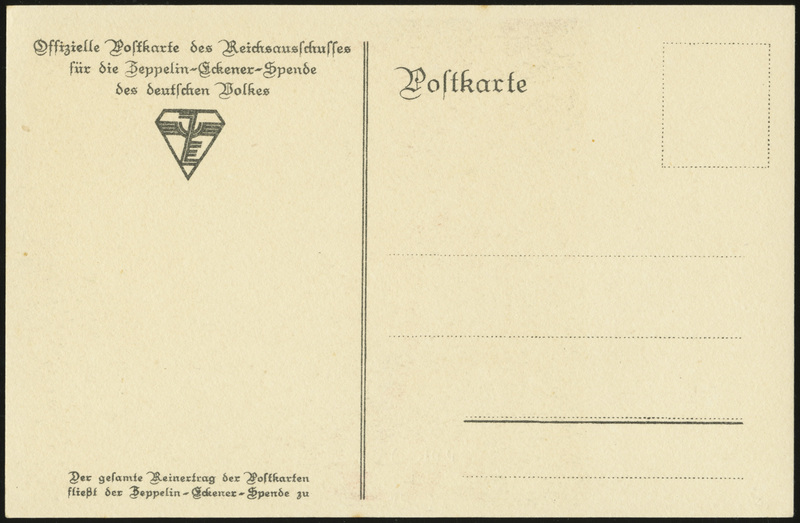 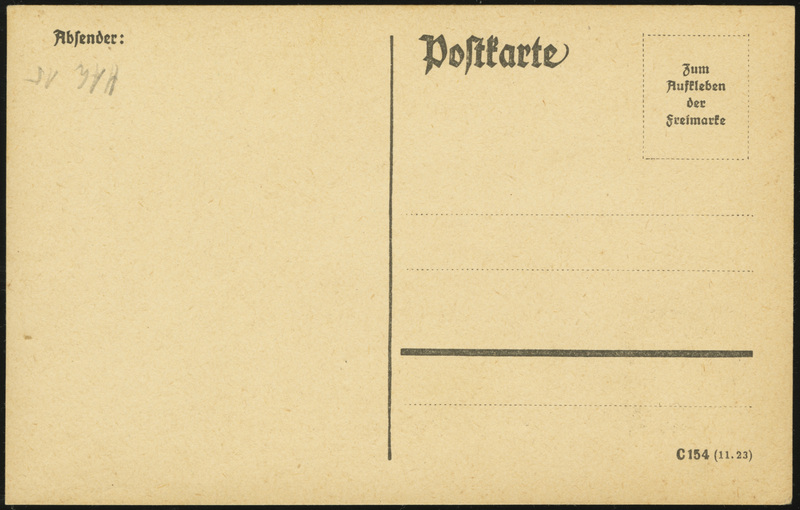 Machine cancels promoting the Fund were available at the Charlottenburg 2 and Berlin-Charlottenburg 2 post offices. 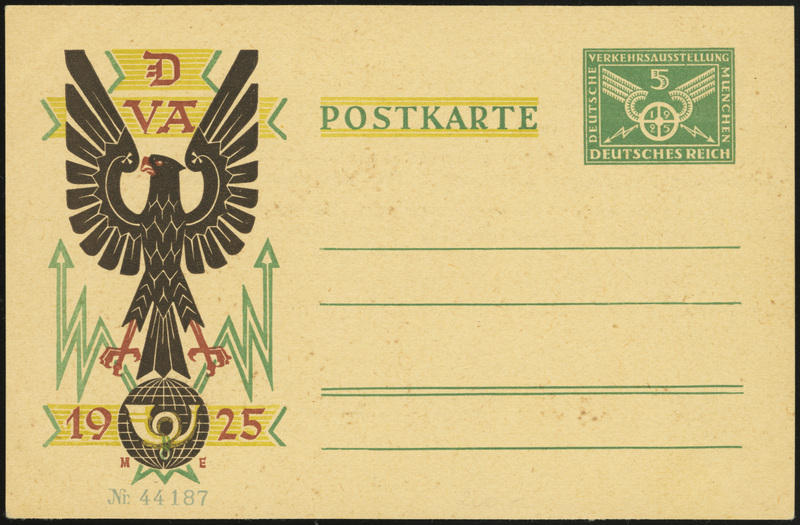 postcard MiNr P206 II b (German Traffic Exhibition). 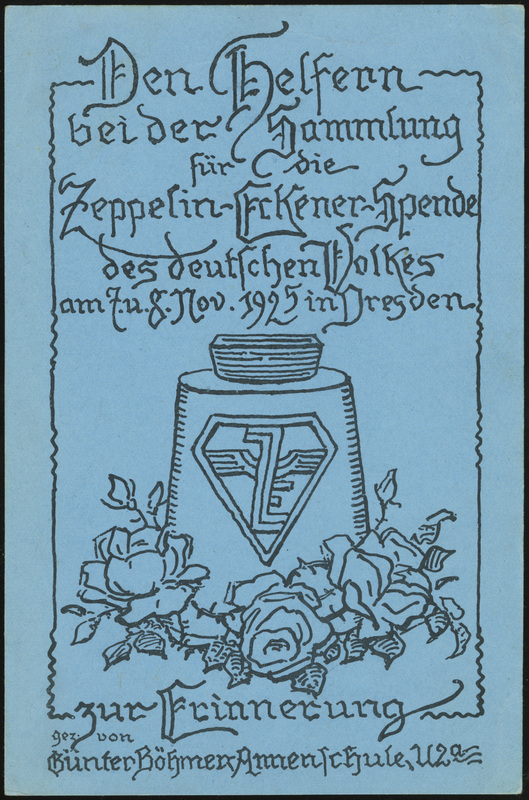 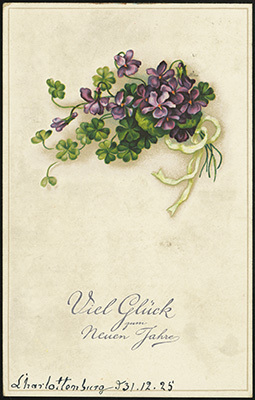 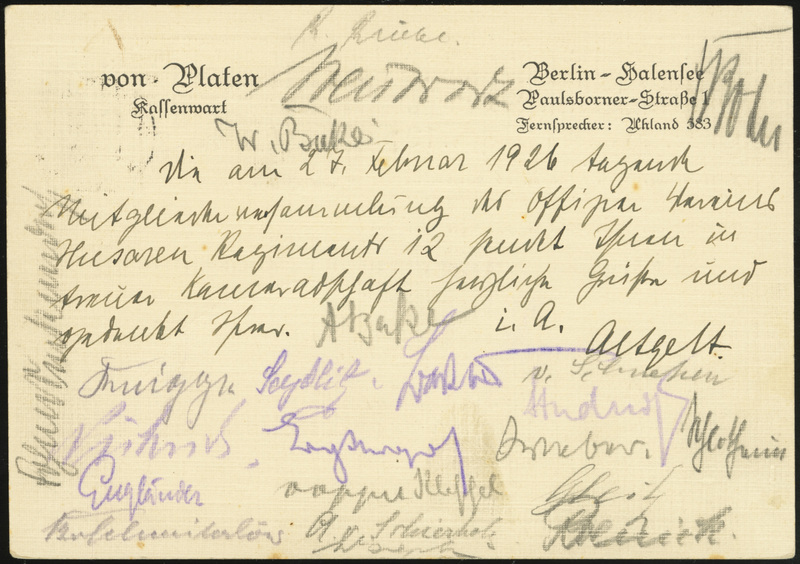 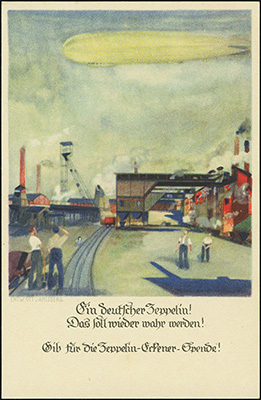 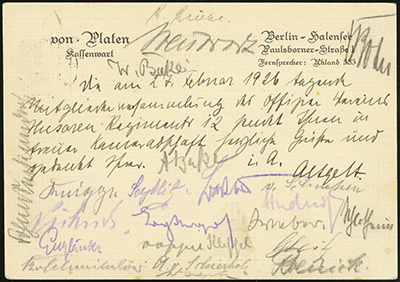 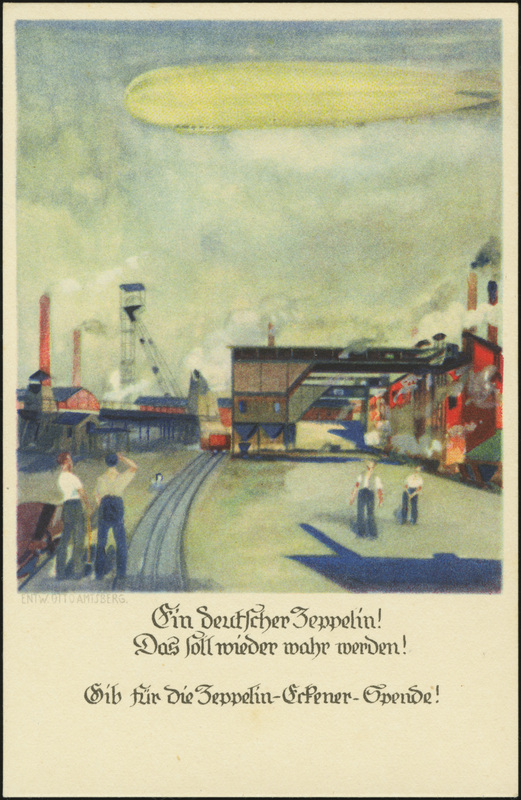 This postcard was produced privately to commemorate an Eckener-Spende event in Dresden, 7-8 November 1925. 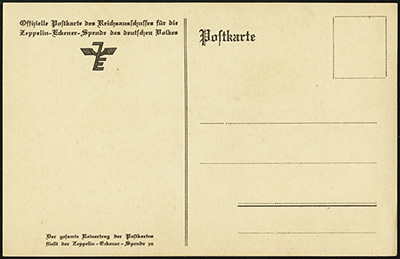 In the end, the fund raised 2.5 million of the 7 million Marks necessary. 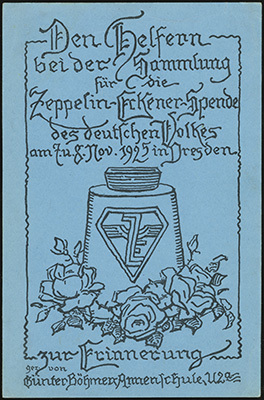 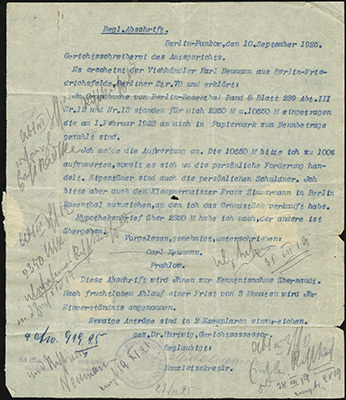 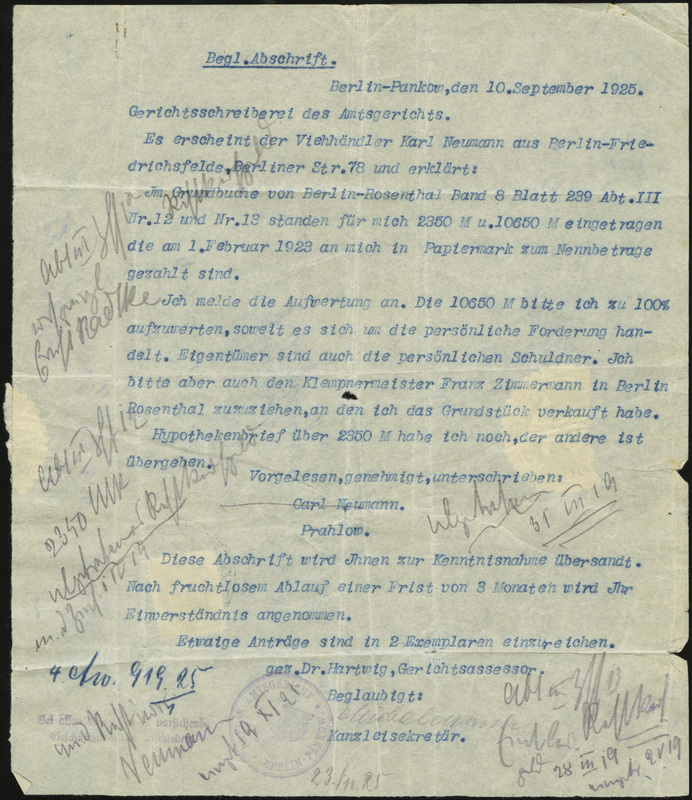 The remainder was provided by the Zeppelin company, with the German government eventually contributing 1 million Marks. 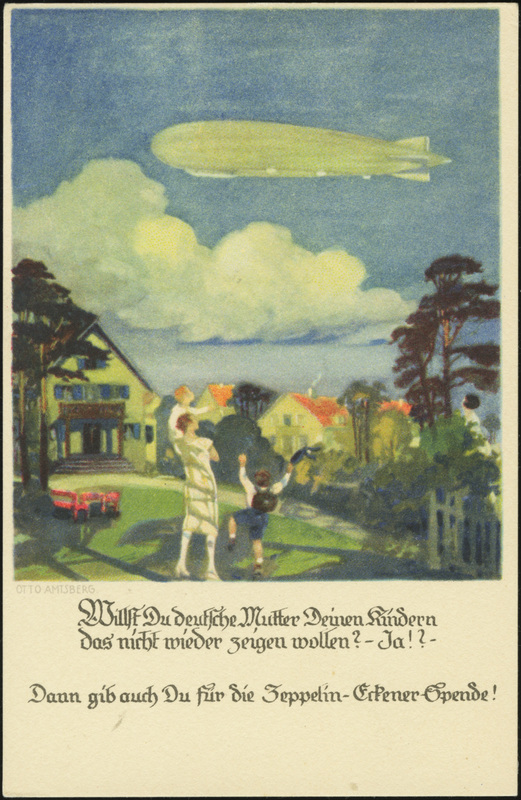 Added another piece to this collection today -- a poster advertising the fund. 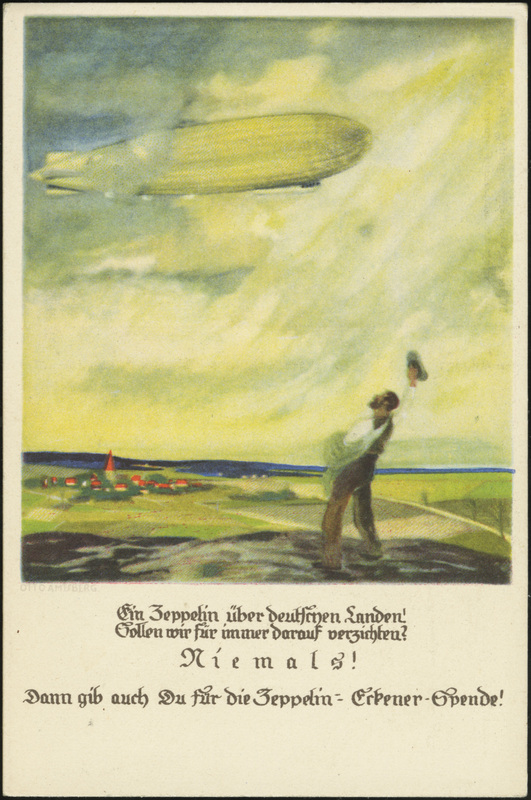 It's huge -- 48x72 cm (approx. 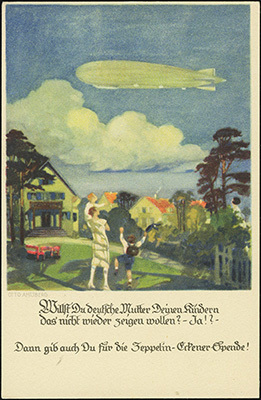 19x28 in). 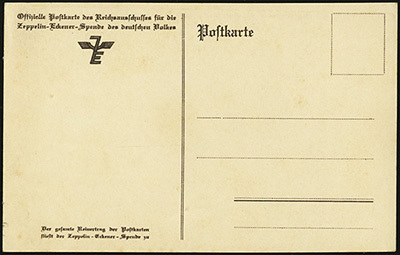 All Reichsbank institutions / banks and savings banks accept contributions / payments can also be made by post check to Stuttgart 5845. 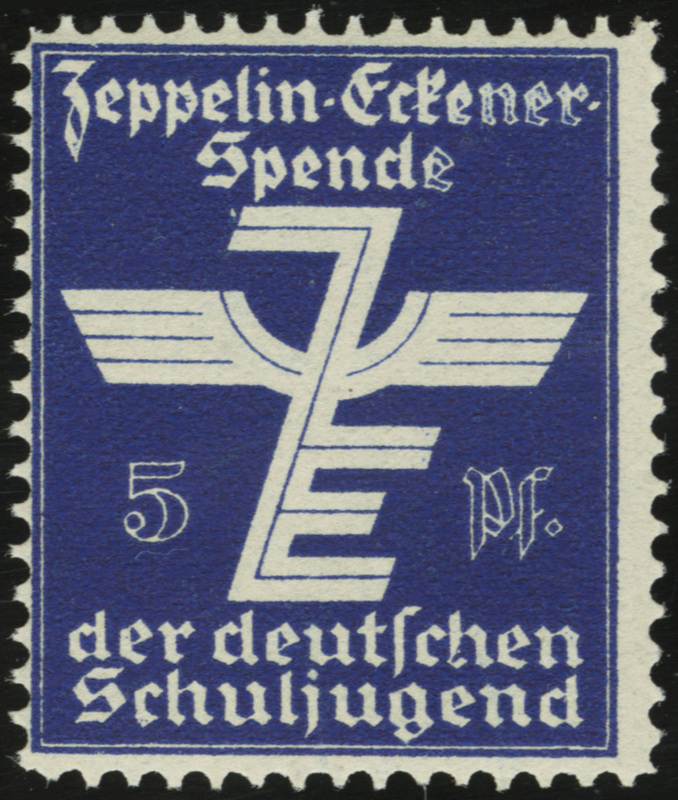 Added a nice one to this collection today -- a copy of the Zeppelin-Eckener-Spende postcard Sieger g, with all three donation stamps attached. 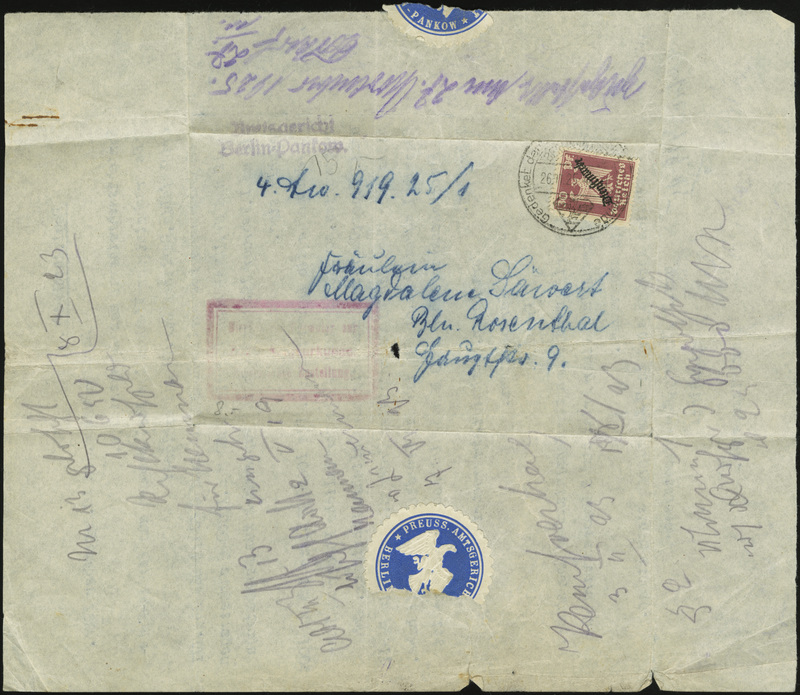 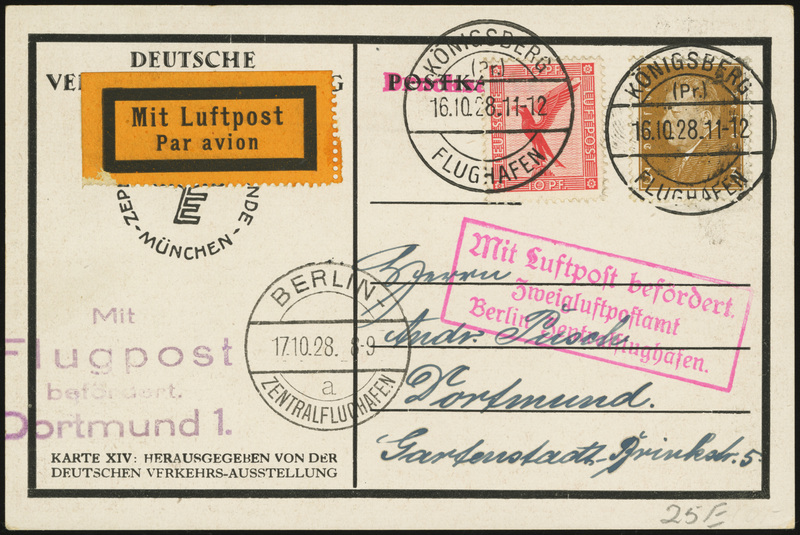 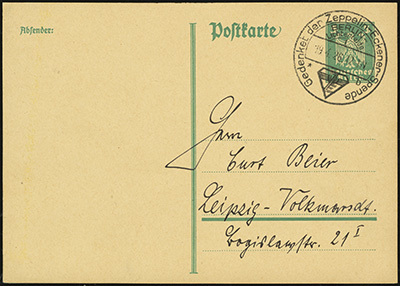 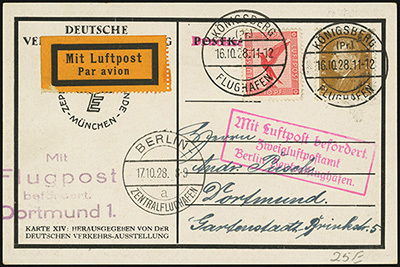 It was sent via airmail from Berlin to Lübeck, and carries a Berlin C2 Luftpost cancel and Lübeck airmail cachet.